Source of News & Updates from the web: 10 Things You Can Write As a Blog Comment Instead of Writing "Nice Blog"
So let me share 10 comments you can write other than the one liner "Great Post!" Does this information in this video or article really help you? You want to say thanks to the author? Then say in a few lines how it saved your day. For example, I want to fall asleep early when I go to bed, and I watched a video that shares a tip that helped me go to sleep easily. So, I went to that video again and wrote a detailed comment on how it helped me, how long it took, and shared with others that it exactly worked. We see a lot of articles and read a lot of things that we already know. But we like to read the same thing again just to learn one or two new things. If I ask you "How do you get more comments on your blog?" you can come up with 12-15 ways. But an average article will usually share 10 ways and make a blog post about it. You can drop one more tip in the comment which is not covered in this article. So it will add value and boost your comment. Once I wrote an article about my internet provider and asked my readers if they have experiences with them or with their rival company. Amazingly a lot of people shared their experiences with this internet provider and some even wrote about the rival company that they are using. So when you see an article that shares about a product/service you have used, you can drop in your experience as a comment. Some people will ask questions and share opinions in the comments section. You can hit the reply button and start a conversation with those commentators. It shows the author that you are here for the community, not for the shallow promotion. Bloggers are used to hearing nice things. Why don't you write something negative? I'm not saying you should start a fight for no reason; there are plenty of things which you may disagree about with the author. A smart blogger will keep that comment and continue the discussion. Just remember that you should judge things with facts and not with emotions. No blog post is perfect. You can always add something to the article. For an example, someone wrote a tutorial on how to create a logo. They shared everything except the tip on how to make this logo transparent. You can drop a comment giving some extra information on how to make that logo transparent. For an example, you see someone wrote about the Google Reader, a while ago. You can drop a comment to inform that Google Reader is going to shut down soon. There you have it, an updated piece of info that you added to the article. You are awesome! Blogging is all about sharing information. If you can provide links to articles that provide additional info (related to the post) -people will love it and visit these links. Sometimes it helps when you introduce yourself in style. A few days ago I landed on a blog from Technorati.com (It is a blog directory.) I landed on that blog, read a couple of posts and dropped my first comment. I was honest and said that I found your blog from technorati and I saw your blog is on the top 10 risers. The author was interested and asked me more about it. So you see I made my debut for that blog and made a contact with the author. The next time I commented, the comment was instantly approved and the author knew about me. This works best when you really want to learn more about this topic directly from the author. Trust me, no matter how pro you are, no matter how many years you are in internet marketing, there are still many things you don't know or you don't understand. I am a pro in WordPress; people hire me to build their websites; I teach my students about this platform. Yet I still don't know anything about taxonomies, and I don't know what I don't know. I asked my friend Courtney about it a few weeks ago and she explained it to me in the simplest form. As Steve Jobs said "Stay Hungry, Stay Foolish" -feel free to ask questions, no matter how pro you are and how stupid that is. And this applies to blog articles, Podcasts, Facebook, Twitter, YouTube videos. You can make a better place by not writing those one liner comments. You will have more of a chance to get in touch with the author and the readers when you write meaningful comments. Don't aim for 10 one liner comments. Write just 1 awesome comment a day and you will see how things work out in your favor. It's okay! We all make mistakes! Don't think that I am the Mr. Smarty-pants here who does everything right when it comes to commenting. No I don't! I did these mistakes too by writing one liner comments, that's back then when I thought commenting is just for building links. Now I know that commenting is about building relationships and it takes time. 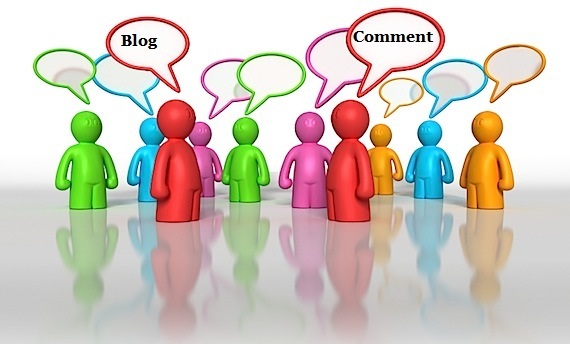 Adding some missing information or some suggestion from your side when commenting a blog. So that the blogger or the reader should known about this topic more. Magento Website Australia. The main object of the Affity Solutions is to provide quality web services and is among the few software development company in Australia. Thank you for share useful information.You can get an efficient PrestaShop Point of Sale module with added features.Use the powerful all-in-one PrestaShop till, receipt printer and bill printer system. Excellent blog! Very informative and useful,thanks for sharing such valuable ideas.Hope to see more blog from you. Thanks for sharing the information please add some detail about Bulk SMS marketing services because i want some more info about it.. This inspired me. Thank you. Thanks for detailed information. Keep sharing such stuff. nice information, I like it very much and really this is a unique platform. Great piece of content to improve the knowledge and skills. Thanks for sharing this type of information.Its is very nice blog to all the user.Thanks for sharing.keep sharing more blogs. Howdy a commitment of appreciation is all together for the mind blowing offer and it will be key for a few people who are looking for after down best site page strategy affiliation or so far working with page laying out company.We other than give quality Web Design and Web change advantage at oversee cost . hello Thanks for sharing this information.very productive information. We are one of the most trusted Android Mobile App Developmentand IOS application development to meet your business complex requirement through offshore world. Grab the offer from world class Website design company as offers are raining, you just need to click on the link to grab them. A more tips here procedure with two programmers possesses higher prospective for the generation of more numerous solutions to complications for 3 reasons. Aside from that, Softage largely targets devising Sophisticated solutions that ensures substantial performance. As I read the blog I felt a tug on the heartstrings. Source of News Uptodate. Watermark theme. Powered by Blogger.